Entry filed under: Quilting. Tags: Ami Simms, beginning quilting, improving quilting skills, Quilting, quilting for beginners, quilts. Awesome post Ami! Thanks for all the ideas… Gotta get some more of those quilt tops out. Glad you enjoyed it, Ruthie! Ami, I begin each year with the goal of stepping outside my comfort zone and attempting new things to make myself a better quilter. I succeed with the quilt patterns I choose. 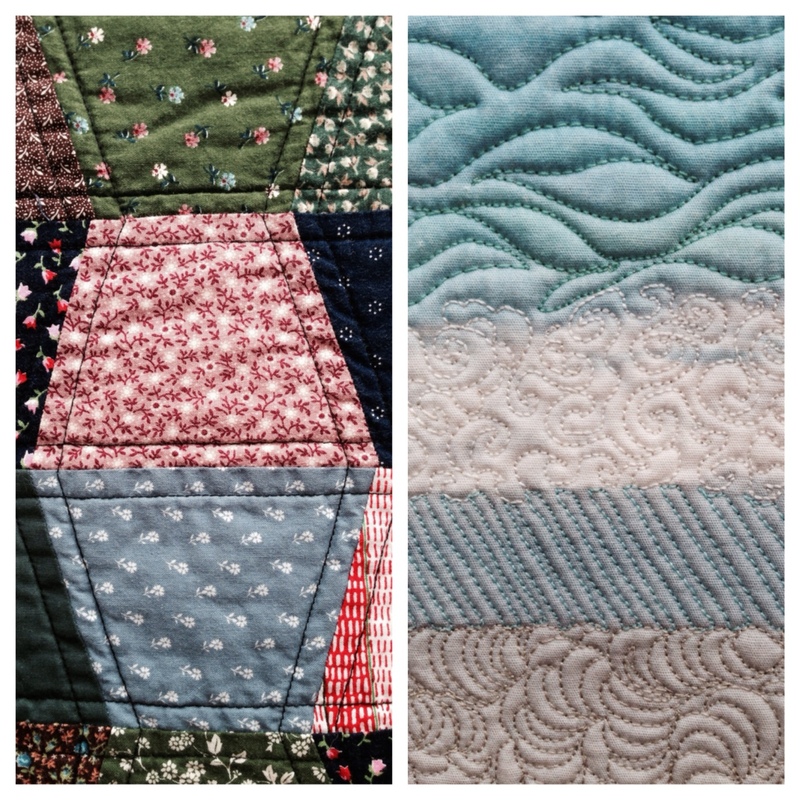 But my quilting is stagnated at the meander stage. When I attempt something new and it’s not very good my friends tell me I’m doing a wonderful job. Their feedback doesn’t help at all! Do I need new friends? Marcia, keep your friends. Encouragement is a great thing. But don’t forget that when you try something new, especially machine quilting, you’re probably going to get worse before you get better. Do you have a sample (picture, book, real quilt) of the technique you’re aiming for? Do you know what it SHOULD look like? Do you know how to get from where you are to where you want to be? Often that requires instruction of some sort, rather than trial and error. And, when you’re learning, you really ought to give yourself a whole bobbin of sewing before you evaluate anything. After you see some improvement yourself, then show your friends. What would you rather do, instead of meandering? You put into words what I have been thinking/wondering/dwelling on. Bunnie, thank you for your kind words. I’ll be bothering you soon about that pattern of mine….hint, hint! Let me know if you’re up for it. Hi Ami – your last piece of advice really rang true for me. I have a tendency to make everything I sew perfect. Too perfect. To the point that I give up if I have to ‘un-sew’ too many times. This year I will make a resolution to finish, even if it’s not ‘perfect’. Nuke for 4 min. Stir for 30 seconds. Let sit 1 min. Press and pour. You can add sweetener of choice and creamer if you’d like. I signed up for the new newsletter! I thought I did before but just in case I didn’t, I wanted to be SURE!! Thank you for the tips! I have been learning from you ever since I attended a class you taught in Denver. Now is not the time to take a chance on losing out on anything! I do appreciate your willingness to share, your marvelous sense of humor and the way you blend the two with all you have learned about quilting in an effort to help the rest of us become better quilters! Actually, these tips can help us improve in lots of things! Not just quilting! Thank you!! Mutti, you’re on the newsletter list. I just checked! You’ve been following me since Denver? That’s awesome! Thank you! I think it’s interesting that you said my 5 tips for becoming a better quilter could transfer to other skills too. Why not?! Your tip about the ctrl button and mouse wheel is genius. I will be using it a lot. 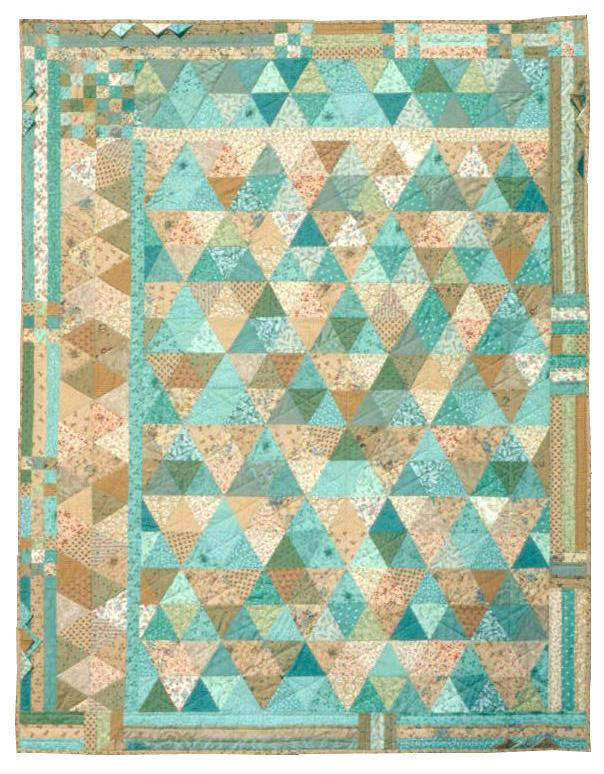 I also love the colors of that quilt you made your niece the aqua and gray taupe colors are wonderful. Ami, I think I would enjoy reading just about anything you write! You are always fun, refreshing, wise, a little silly and always inspiring. Thanks for doing what you do. That’s really sweet of you to say, Sandy. I’m looking forward to more writing and more quilting this year. What a great article. One of my goals for this year is to try several new things, including working in a series. Thanks so much, Ami. Gini, anything you do will be wonderful! Enjoy the year’s new challenges. You always put the fun with the truth! More than a year ago, I started a small design group. We used a design book specifically written to help this kind of group. We all love our group, and we can stretch and grow in a comfortable way. I will forward this post to them, and maybe they will sign up for your blog too. Thank you, Michele! Your design group sounds wonderful. Caring friends, united with the purpose of bettering their skills, is a great thing. Enjoy each others company. You are lucky to have each other. I always enjoy your blog and your sense of humor. I’ve been teaching people to quilt in our local area for over 20 years. I’m going to read this blog entry to them. Plus, I love Scooter. Thanks, Nina! I’d be honored. I’ll tell Scooter he has another fan. Just would like you to know I enjoy all your newsletters and your website very much ….Love Scooter’s input also lol. Keep up the great work!!!! Wonderful advice and soooo true!!! Thanks, Cindy! I appreciate the kind words! 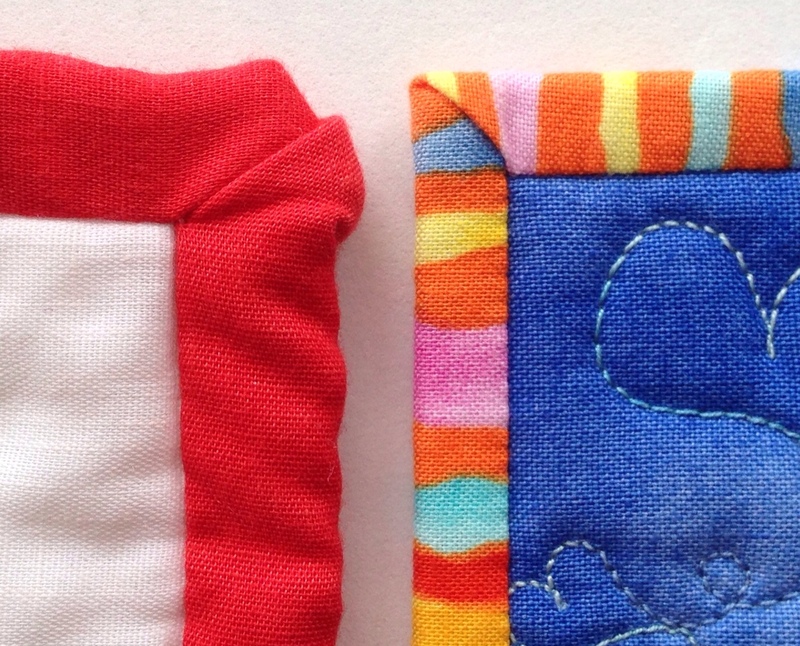 I’m laughing at those binding corners, because I just hung up a quilt that I made for my mom thirty years ago and the corners looked just like the one on the left. I have gotten more precise over the years. It just took time. Thanks for your thoughtful comment, Maga. I’m glad you found my post helpful. I made my first full-sized quilt to keep warm. It had bright colors in circles on white poly-cotton. None of the blocks were the same size, but I put them together any which way. I can’t remember how I quilted it or where it is now. I began taking classes, joined a guild, and bought lots of quilt books, two of yours Ami. I had a love affair with quilts. So happy to have helped with your life affair with quilts! So cool to read this, Constance! The first quilt I bound has horrible corners. Since then I have learned to make nice square corners. Your binding example reminded me of this. 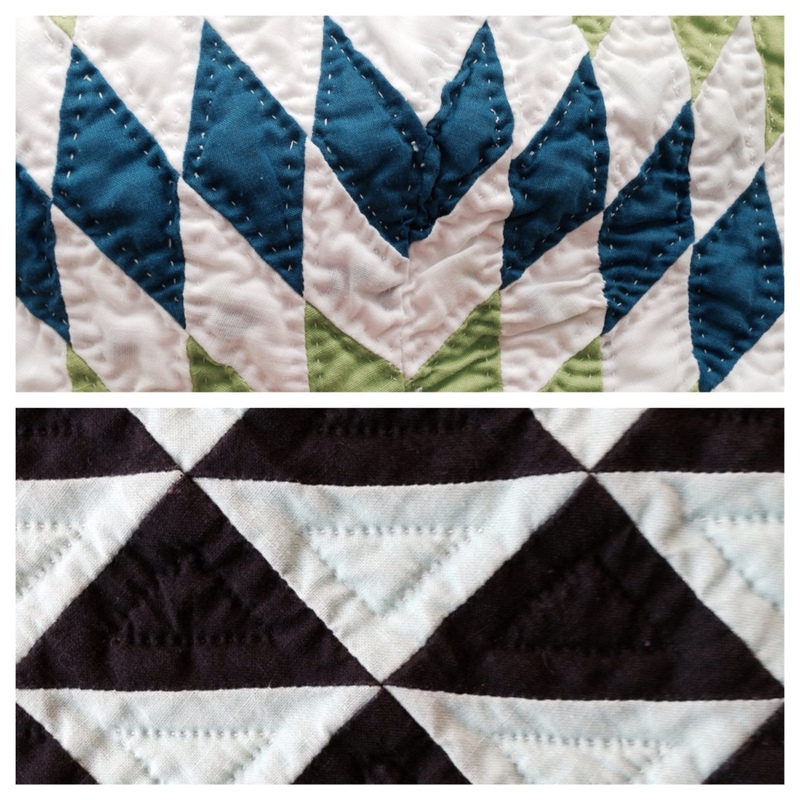 I can honestly say that I have learned something from every quilt that I make. Many times it is the hard way and I do a lot of ripping. lol I have deconstructed and remade at least three tops because of a poor choice of fabric or arrangment of values. With the price of fabric these days, it is worth it. You’re a good learner, Liz. Good for you! Thank you Ami for the tips, humor and encouragement. Scooter is fun and I liked the English Terrie video. You’re so sweet to comment about my newsletter. Thank you!!! Your blog always encourages me and challenges me. Your sense of humor just makes me laugh, often at myself. I love Scooter. And your quilts are pretty cool, too! Nina! Thanks for your sweet words. I printed them off and put them on the refrigerator. Hi Amy, thank you for sharing all your tips and knowledge with us. I’m signing again to your newsletter with my Yahoo account. No more newsletter. Follow this blog instead please. Good advice! I’ve been quilting for over 40 yrs. I’m 57, with a BFA in Fine Arts from UT Austin, specializing in textile design. I go to quilt shows & have had some shows of my own. My museum shows included quilts I made into sleeping bags, using hand made dyes painted on or using batik methods. Also, panoramic painting on the top with patchwork on the back! I LOVE experimentation and I try not to be hard on myself 💓. I taught art for 18+ yrs. & ALWAYS stressed a NO FAIL art project. The success is in the trying, just as you say! And it only gets more fun the more things you try. I’m working on a Mandala quilt & studying their meaning.